Eat, sleep, code: Ten-year-old's routine Jump to media player Max started writing code when he was six. He told BBC News why he thought more children being taught how to program in schools was a good idea. Teaching black girls to code Jump to media player Twelve-year-old Nia Johnson explains why she loves to code. What if more women learned to code? Jump to media player The tech industry is dominated by men. Does that matter and why don't more women learn to code? Code masters: The new digital artists Jump to media player Meet the young British artists using computer coding skills to create conceptual art. Do children need to learn to code? 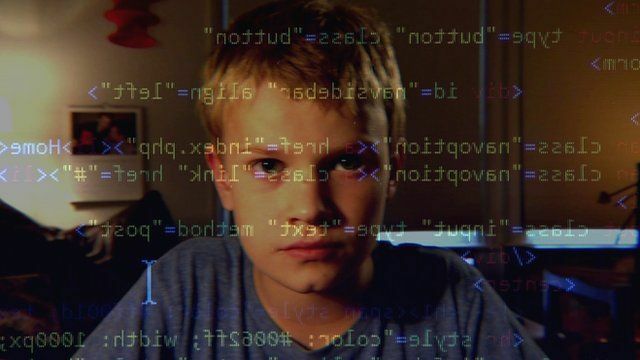 Jump to media player Newsnight looks at government plans to make the study of coding compulsory in all state primary and secondary schools in England. Coding push for primary pupils Jump to media player From September, every child in England will have to learn computer coding. From Monday, children as young as five will be taught how to write computer code as part of far reaching changes to the curriculum in English schools. It means that more than 160,000 primary school teachers have had to learn a whole new subject in time for today's deadline. Teaching unions have welcomed the changes but say it should have been phased in more slowly. Ten-year-old Max started writing code after his mother gave him a laptop when he was six. He told BBC News why he thought more children being taught how to program was a good idea.